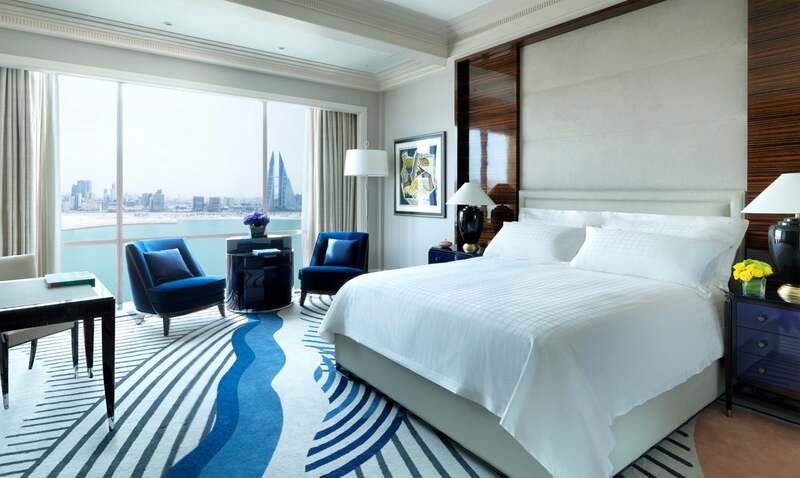 One of the draws of the Four Seasons in Bahrain is the bevy of artwork positioned throughout the hotel, and the pieces are all original works by artists from the Gulf nation. 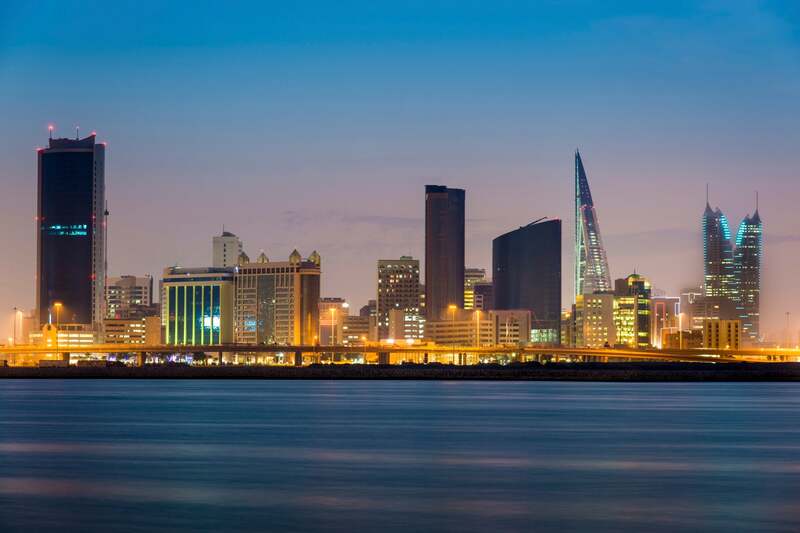 Yes, you might be visiting Bahrain for work, but by sheer dint of interesting architecture and interior design, tantalizing F&B outlets, and finally, being situated on a private island, the newest Four Seasons property in the region makes your business jaunts to the Kingdom that much more bearable (and maybe even a little bit indulgent). Greg Pirkle, General Manager of the property, is a hospitality industry veteran with nearly three decades of experience. Prior to joining the newest Four Seasons in the region, he was the General Manager at the Four Seasons Riyadh, and had moved to Saudi Arabia from his previous position as the General Manager at the Four Seasons Resort in Langkawi, Malaysia. 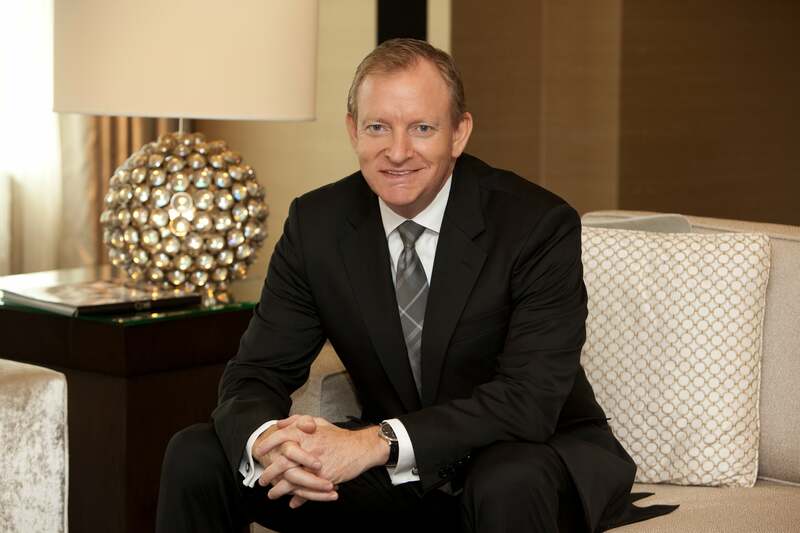 “I first joined Four Seasons Boston in 1989, and enjoyed a rapid ascent to senior executive positions within the respective properties I worked for, namely the Four Seasons Hotel Boston, Pierre Hotel in New York, Regent Hotel Jakarta, Four Seasons Resort Great Exuma at Emerald Bay in the Bahamas, Four Seasons Resort Hualalai, and the Four Seasons Resort Maui at Wailea.” Pirkle names the lattermost as his favorite Four Seasons property globally, where he spent five years of his career, adding that the Four Seasons Bahrain Bay shares similar “urban resort” qualities with the Maui hotel. One resort-like quality is the ambience of refined calm that permeates all of the spaces in the immaculate structure. The lobby boasts a sky-wall that opens out to a terrace populated by majestic olive trees imported from Spain prior to the official opening of the hotel. Having recently welcomed acclaimed Chef Wolfgang Puck to Bahrain for the launch of his signature outlet CUT, Pirkle also fielded a great deal of the region’s culinary press who were interested in hearing about the seven F&B outlets in the hotel. Some of the specialties on CUT’s menu recommended for the corporate meal with associates? Puck’s memorable prime wet and dry-aged beef, an interesting selection of shellfish, and roasted whole fresh fish presented in the best traditions of hospitality. In addition to “a wide range of culinary experiences on the hotel premises, and incredible workout facilities with the latest equipment as well as spa facilities to start the day or unwind in the evening,” Pirkle also ranks consistent high speed internet in first place when catering to the business client. So all in all, when visiting your new private island, expect to eat well with varied and expertly-executed dining options, rest easy with help from the concierge whenever you need it, and get in a good day’s work. The GM at the Four Seasons Bahrain Bay would have it no other way.